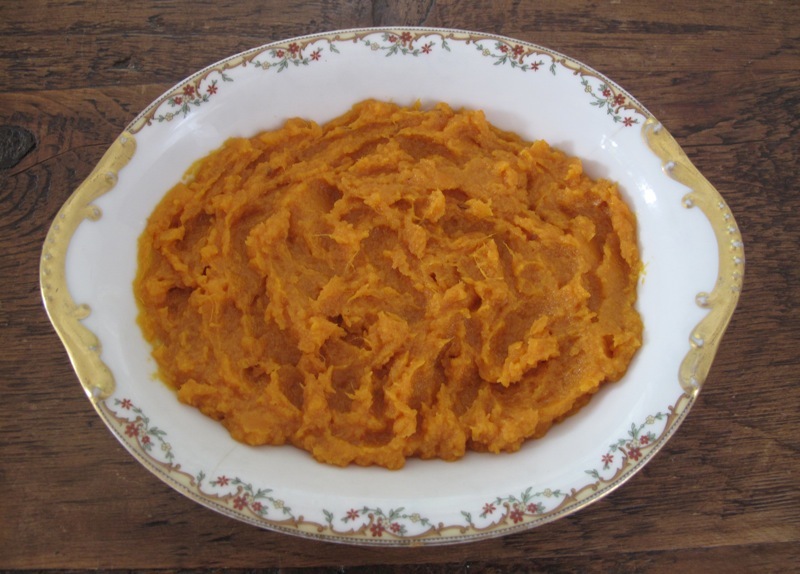 I grew up with a sugary-sweet, marshmallow-topped version of sweet potato pudding, which was partnered up with cooked meats and overcooked green beans or heavily spiced collard greens. I can already hear some of you saying “Umm Umm,” but I dare say the only way is up from a nutritional standpoint. Somewhere in my teens I started pulling the marshmallow off because the sweet potatoes were so darned good (albeit with heaps of butter and white sugar in the mix). In my twenties, I discovered the naked goodness of fruits and vegetables, plus with a twinkle of seasoning….which is very nice indeed. My wholesome version of sweet potato pudding has a little twist of coconut, and I cannot tell you how gimme-some-moreish this dish is. We’re talking simple simple simple, yummy in my tummy goodness. 2. Pierce the potatoes with a sharp knife all over, then lay the on a large baking tray. Bake for 60 minutes, or until they are soft in the middle. Remove from the oven and allow to cool for 10 minutes. 3. Peel the skins off of the potatoes (which you can discard, but I eat a few as a snack-yum) and place the soft flesh into a large pan. After all the sweet potato flesh is in the pan, mix in the rest of the ingredients until the mixture is smooth and creamy.